Another recipe close to my heart. 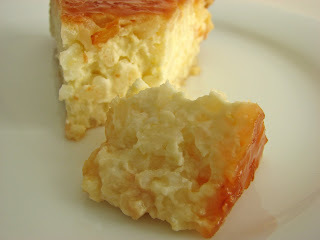 Although not exactly the same, my family makes a rice pudding tart similar to this. It's a puff pastry tartlett filled with a rice custard baked golden brown. The top turns caramel like and it's delicious. Gorgeous work once again! O. I have such a thing for rice in desserts. and the options of rice these days! I used to have to line dozens of molds with caramel and the oven mitt is a great idea and so are gardening gloves because these ofthen will have little rubber traction dots which make it harder for the hot vessel to slip from one's hands. This rice dessert looks really interesting! This is beautiful. I cannot wait to try this...rice has become my new favorite grain since becoming Gluten Free. You have saved the day! This is beautiful and as I am gluten free I can give it a try. Can't wait. Lovely blog! Very nice! I love it. Does it have an eggy taste? That's the only thing I am worried about! I personally don't think it has an eggy taste. The 2 eggs bind the pudding but still produce a creamy texture without overwhelming the flavor. Hope this helps! Is there the right way to add eggs to the hot cooked rice pudding so as to prevent them from curdling? Would I need to let the rice cool a little beforehand? 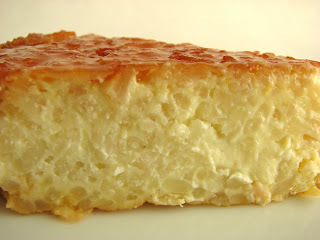 Also, did you have any problem inverting the gateau once it cooled as far as caramel layer and rice sticking to the pan? thanks. Hi Lena. Be sure to whisk the eggs before adding them. They shouldn't curdle if you whisk constantly and quickly as you add them to the rice mixture. You can also temper the eggs by adding a couple of spoons of the rice mixture to them first if you're worried about them curdling. As I mention in the bench notes, this Gateau can be tricky to unmold. You need to try to unmold it when the caramel is still warm enough and liquid but not too hot that you might burn yourself. Take the precaution of wearing oven mitts as you place the serving platter over the pan and invert. If you have a few stuck bits, just take a little spatula or fork, coax them out and patch them. If you're worried about presentation, you can cover up any noticeable breakage with dollops or piping of soft whipped cream. This Gateau is so delicious, I doubt anyone will notice! Besides Arborio, what rice is intended for the recipe? Have you ever tried to make this in ramekins? Rice puddings can be may with your favorite rice or combination of rice varieties, depending on the desired texture and taste. Cooking time on the stove top may vary. I haven't made this in ramekins but that would be a beautiful presentation. 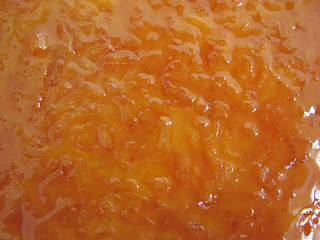 I'm going to revise my recommendation to unmold while the caramel is still warm and suggest an overnight refrigeration. 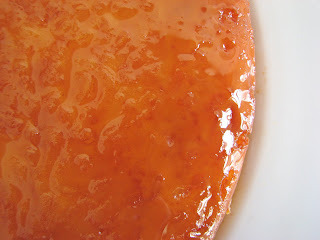 The caramel will have a chance to liquefy and it will make unmolding much easier. You may want the gateaux to come to room temperature before serving.